Whether you need to repair, maintain or improve your plumbing, you can trust Rainaldi. 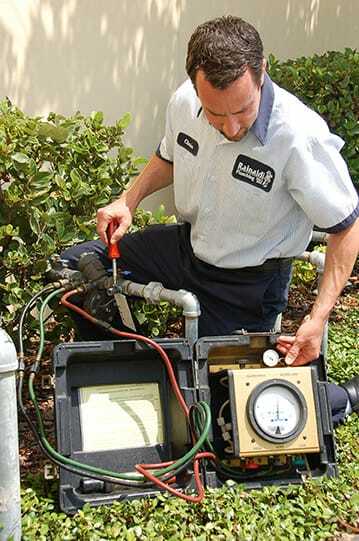 We provide fast, professional emergency plumbing service to our Orlando neighbors. 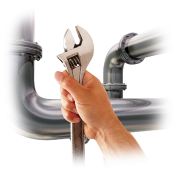 You can expect our plumbers to be on-time, courteous and clean-up before they leave your home. Whether its fixing a leak or a clog, repairing or replacing a pipe or a installing an entirely new water heater, your home or business deserve the best. 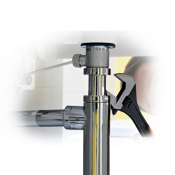 One of Rainaldi’s licensed and expert plumbers can often be there the same day and we offer a 100% Satisfaction guarantee. Next to heating and cooling, water heating is the largest energy user in your home. At Rainaldi, we make it our goal to help you find the best water heating option for your Orlando home. We have many money saving options for you to choose from, including tankless water heaters that allow for an unlimited supply of hot water for your home or business. 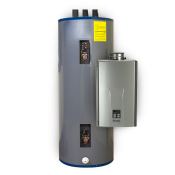 We can often repair or install your new water heater in the same day. 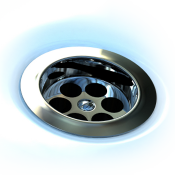 As your Orlando area drain cleaning and sewer repair experts, Rainaldi will inspect your drain, find and fix your clog. We do it all with sewers and drains and you can depend on Rainaldi to have the right tools to do the job right the first time. No need to worry about the additional expense and problems in the future because a less experienced plumber made a mistake. With the help of advanced leak detection services from professional Rainaldi plumbers in Orlando, you can save your valuable property from the damage caused due to water or drain leakage. Did you know that as a home or business owner you are responsible for both the sewer and water lines that run between your home or business and the street or curb? When you have a problem, you can rely on Rainaldi to provide the solution with professional sewer and water line repair. Backflow, or the unwanted reversal of water flow, can be a serious health risk and embarrassing inconvenience. Backflow must be addressed by a qualified technician as it can introduce hazardous contaminants like pesticides and other human waste into your potable water supply. We know how important the quality of your water is to your family. That’s why we offer state-of-the-art water conditioning systems to meet the needs of your Orlando home and family. “After I called Rainaldi Plumbing to get help for a stopped up toilet on the second floor of our home I quickly received a call from a plumber. He told me when he could be here, what the charge would be depending on what caused the problem. That was good as there would be no surprises. He arrived within minutes of his estimate. All went well.” – Albert P.
Slow drips can turn into gallons of water! The EPA estimates that more than 1 Trillion gallons of water leak from our homes nationwide each year. That's equal to over 3,000 gallons for every person in the United States. Rainaldi plumbing has been helping Central Florida Homeowners solve their water leak problems since 1974. You can count on our licensed, uniformed technicians to accurately diagnose the problem and provide you with the best type of piping solution.